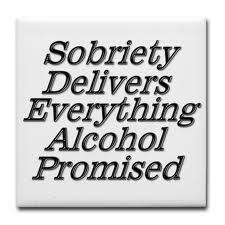 Sobriety is the greatest gift I’ve ever gave myself! 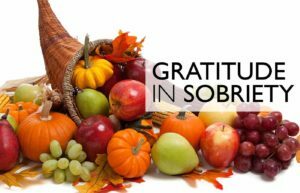 I will never forget my sobriety date: October 25th. Why? Because it’s my husbands birthday. 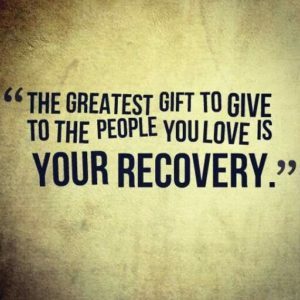 Today he celebrates his 41st birthday and today I celebrate the greatest gift I could have given him, our marriage, our family and our future – MY SOBRIETY! BADASS thing a person can do! When I decided to get sober I was scared. I was scared that people would laugh at me, abandon me, think I was a sell out to my old lifestyle and that I’d be all alone in my battle against my addiction. It turns out that I was wrong. DEAD WRONG. I have had nothing but support from old friends and lots of new friends. 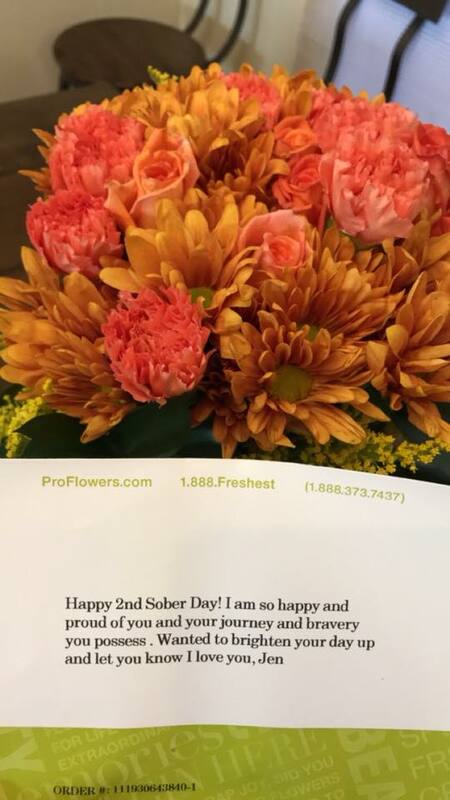 Let’s just say that the sober community is a lot more supportive than party friends. 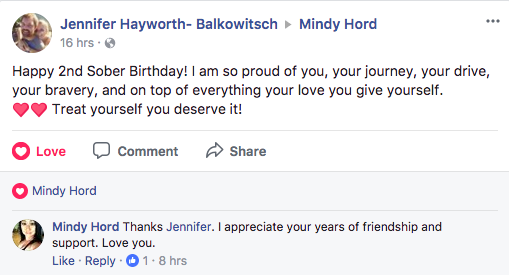 My best friend, sober sister and business partner, Melissa, posted this amazing picture of us from last October when she was 30 days sober and we were attending an event in Coronado Bay, together SOBER for the first time, along with this sweet message. Sober people get left out. 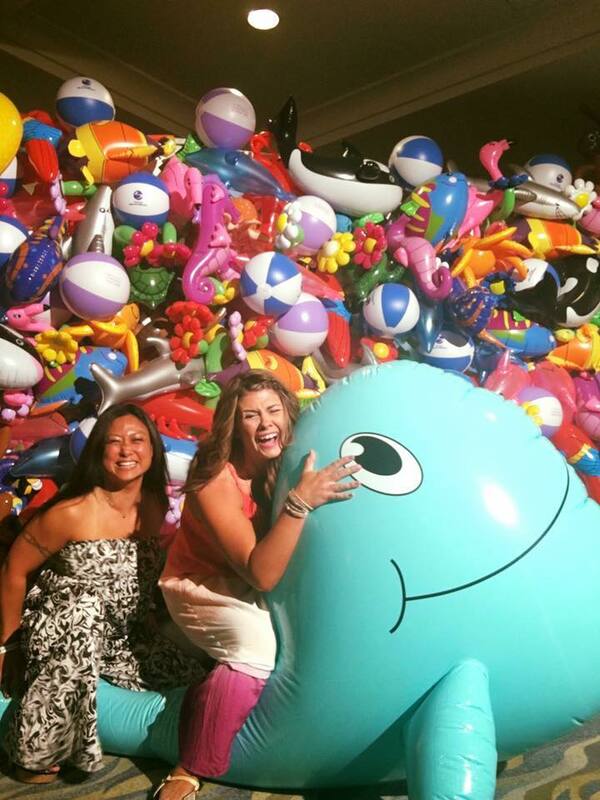 When I “met” Mindy Hord in 2013, I was instantly drawn to her party girl nature. 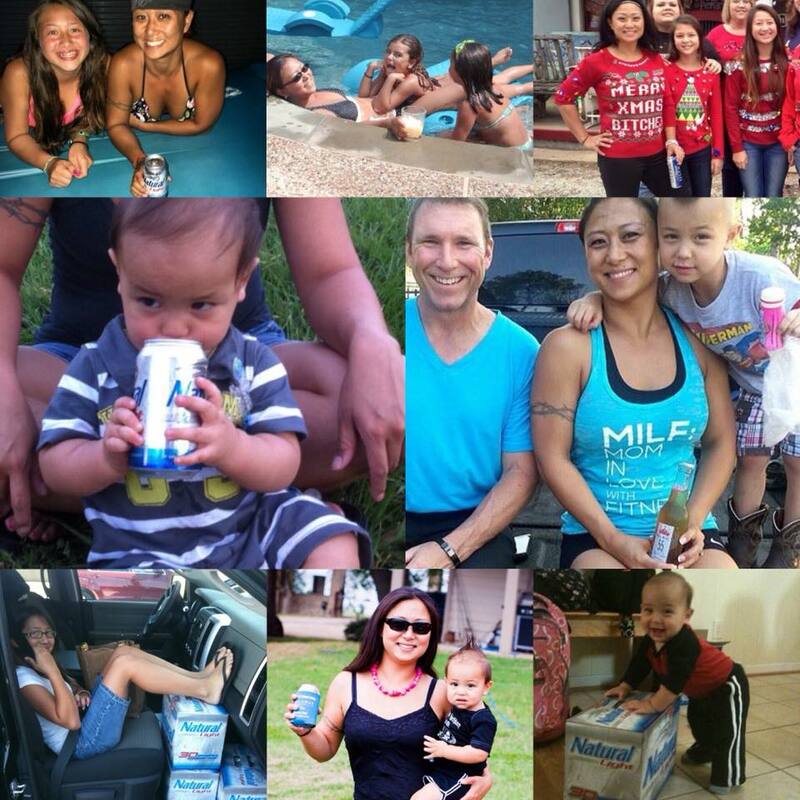 She had a tagline about being fit and drinking beer…. Hello, I loved beer, I needed to be fit…. it was genius to me! I got to know her through the Internet… And we’ve become the best of friends… Two years ago today she made a decision that would not only impact her life but her children’s as well… I’ve always been inspired by her strength and knew that this woman could do anything that she said her mind to… The road to Sobriety can sometimes be lonely… She was one of the first people I called when I made the decision to get sober…. I watched her for a whole year and thought how STRONG she was…..she had been there for many conversations about me quitting drinking before but I never got serious about it… Shes work hard on finding her way, I’ve seen her grow in ways she may not even realize…..She’s been a friend, a sister, A mentor, and a pillar of hope on my journey….I’m honored to know her, to share so many incredible milestones and memories with her that we remember and don’t have to delete any sloppy pictures … I’m proud to say we aren’t boring at all! How lucky are we to have such a special friendship that empowers one another to be our absolute BEST! Next week we will meet in Las Vegas… AKA in City and be toasting our sparkling waters to the success of our teams and celebrating huge milestones in our sobriety… Congrats my friend I am beyond proud of you two years is MAJOR!!! doesn’t have to come last. Today marks 2 years since I decided to break up with alcohol. I grew up in a household where alcohol was always present. We had a liquor cabinet in our house. My Mom always drank wine. My paternal grandparents had a liquor cabinet and always brought alcohol on every trip they took me on. My grandpa brewed his own beer. My parents and grandparents loved visiting wineries & going on wine tastings… living in the wine country in Northern California it was normal. I remember alcohol being ordered every time we ate out. I remember finding alcohol stashed in the medicine cabinet of my maternal grandma. I remember my dad always joking that it was 🍺 Beer:30. I remember my Mom making wine coolers & letting me taste it. I remember taking sips off of my grandpas’ beer. Yet I don’t remember seeing any of them “drunk”, but I distinctly remember the times when I knew they had “had too much”. I think back on all of the times I drank and drank to excess in front of my kids and wonder how it’ll affect them in the long run. All I know is that they were monumental in my decision to get sober. I can’t believe it’s been exactly 2 years since I declared my DECISION to get 100% sober. It was a decision that I had put a lot of thought into. But, I had put more thought into talking myself out of it. I was so comfortable being numb. It was terrifying to let go of a security blanket I had been holding on to since I was a teenager. I started drinking REGULARLY at age 15 when I left home on December 2, 1996. 20 years later on October 25, 2017, I finally parted ways with the most toxic and longest relationship I had maintained. Teen drinking is very bad. It’s just a start to a lifetime of bad habits. Luckily, my children don’t want to have a relationship with alcohol or drugs after hearing my story and being affected by my poor choices. Although I’m not proud of my past or my mistakes, I’d gladly do it all over again if it meant that I’d deal with the pain and regret to shield my kids from making the same bad decisions. As I was going through old pictures this week, I found all of these old pictures that represent the old me. I am wearing a fake smile in many. I may appear awake, but I was dead inside. I was there in body, but totally not present. I appeared to be the life of the party, but I was totally numb. Around 1-2 a.m. on this day, 2 years ago, after HOURS of drinking and countless beers, several bottles of Grey Goose and whiskey, I was leaving a club in Miami, totally incoherent, totally sloppy drunk. I still don’t remember having anything that happened past midnight that night. After a few hours of sleep, I woke up, feeling brain dead and made the declaration of my need to get sober. 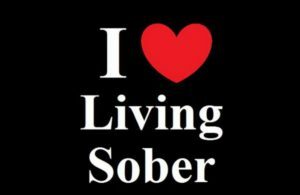 I shouted it out to the universe to make it real and held myself publicly accountable because it wasn’t the first time I had said I was going to get sober. October has always been a memorable and monumental month for me. On October 20, 1981 I entered the United States of America for the first time. On the 21st, I was handed over to strangers. On the 22nd, I was brought into a new house, that I was to call “home”. On October 23, 2008, I was proposed to for the first time and agreed to marry my best friend who’s birthday was 2 days later and agreed to become officially “step-mom” to Hunter who’s birthday was on the 24th. So now October 25 has become extra special. It’s not only the day the love of my life was born but today it marks TWO YEARS of SOBRIETY. 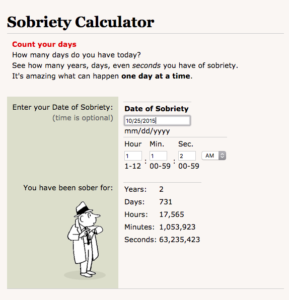 Click here to get your own sobriety calculator. 731 days of fighting old habits, old behaviors, old routines, old addictions. 731 days of celebrations. 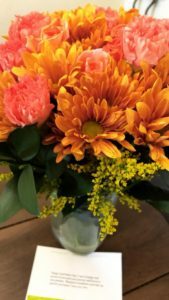 Everyday I found something to celebrate and focused on the things I COULD do that I never did or couldn’t or wouldn’t do if I had still been drinking. 731 days of inner struggles. 731 days being counted one day at a time. 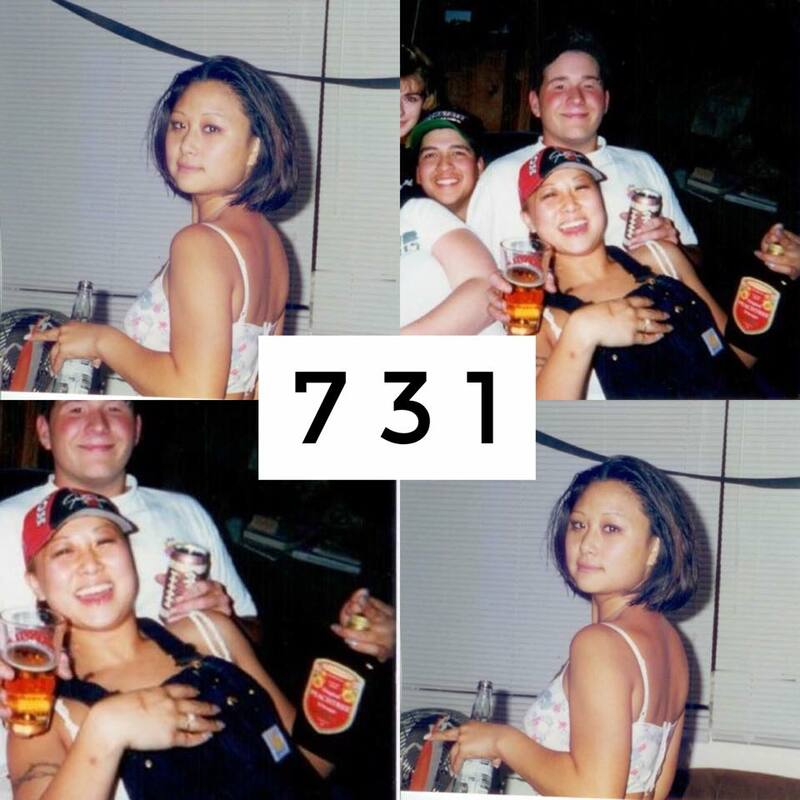 731 days of learning who the REAL Mindy Hord is. 731 days of MINIMAL “arguments” with Ryan. 731 days of being FULLY present. Turns out I am fun. Turns out I don’t need to have a drink to have fun. Turns out I can say no to social gatherings I don’t wanna attend vs getting buzzed in order for me to go. Turns out there’s more sober people than I ever knew existed, because I used to avoid people like “that”. They made me feel uncomfortable. I didn’t understand them and didn’t want to. 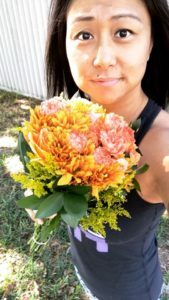 Turns out a once party girl, can turn her whole life around and inspire others to choose to look at alcohol differently and even start their own sobriety journey!